ELK. 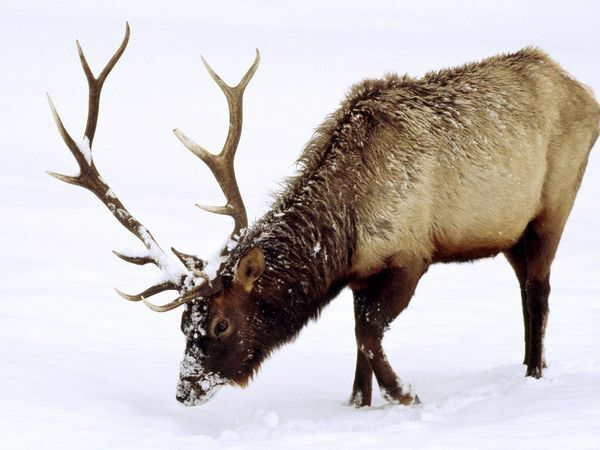 The end of summer often comes suddenly, and as vast cold fronts sweep down the continent and arctic air engulfs the deciduous woodland, elk herds gather in clearings for cows to watch their “champions” battle it out. Bulls have remained separate from the females all year until it is time to display, when bugling – making a bellowing sound similar to blowing a horn or bugle – grabs their attention. The louder and more frequently a bull bellows, the more attractive he becomes. His harem may grow to as many as twenty or more cows. If other males move in, he makes a show of physical power and bugling, and if the other doesn’t back down, they will fight, antlers locked, until the weaker gives way.